Cosmetics and home decor don't really go hand-in-hand, although our vanities will tell you otherwise. We love displaying beautifully-packaged products for all to see, and Jonathan Adler and bareMinerals concur. 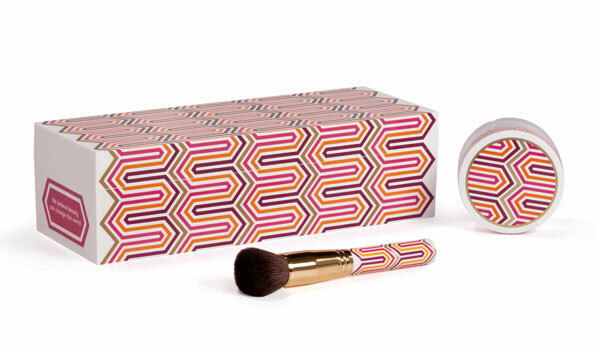 The renowned potter, designer, author and personality has teamed up with the mineral makeup line for a playful, three-piece line of products: a limited-edition, luxury-sized bareMinerals foundation compact, Handy Buki Brush, and signature collectible box - all designed by Jonathan Adler himself and ready to give your vanity a splash of color. This exclusive collection features a quirky, chromatic pattern to give your home "a general feeling of grooviness." We're sent thousands of press releases each week, but we've never come across one so inspiring. bareMinerals describes this partnership as, "two iconic brands that revolutionized their respective industries by bucking convention, staying true to themselves, and having lots of fun along the way. bareMinerals and Jonathan Adler strive to challenge the status quo with a shared belief that even the simplest products have the power to change the way you feel and the way you live your life." We couldn't agree more. 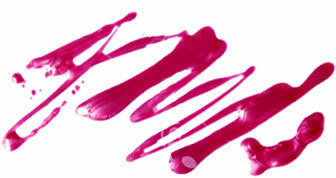 The line is set to launch February 2013 at bareMinerals boutiques and bareMinerals.com. As well as, Sephora.com, Ulta, Ulta.com, Nordstrom, and Nordstrom.com.